Vitamin D is very important and some people require supplementation in order to get enough. In order to produce adequate Vitamin D from sun-exposure, you would have to sit in the sun every day for enough time to begin turning your skin pink. There are obvious reasons why that is unreasonable for most people, so most people opt to take a supplement. 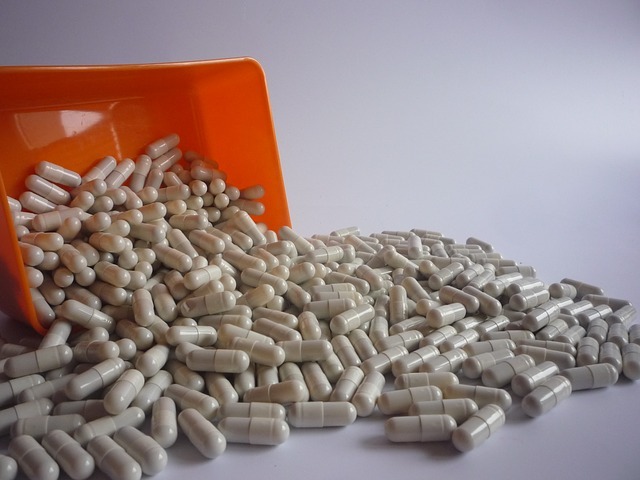 The FDA currently recommends the RDA for Vitamin D is 400 IU per day, but that is turning out to be insufficient for many people and different healthcare providers are recommending their patients take anywhere from 2,000 IU – 40,000 IU dail,. with the intention of raising their levels to varying levels. In fact, our bones don’t just hold us upright and protect our innards—they also produce blood and store nutrients like calcium. Every cell in our bodies requires calcium to perform. When we don’t receive enough calcium from our diet, our body will pull calcium out of the bone to supply the cells. If we don’t have enough calcium already in our bones or we are not absorbing enough from our diet, then our bones become depleted and weak which is how people develop osteoporosis. The primary reason people take Vitamin D is to prevent osteoporosis, but it can also play an important role in cardiovascular health, hormone balance, and even mood. Recent research has found that some women experienced less restful sleep after their blood levels rose above 32ng/mL after taking a daily 2000 IU vitamin D supplement for about 12 months (1). It is vital that we all get enough sleep to remain healthy, but with the current research showing that the ideal blood level of vitamin D is 30-35 ng/mL (2); therefore it would be more appropriate to address why the changes in vitamin D levels are altering the sleep pattern than to refuse to take the supplement. We are starting to see a correlation in the research between melatonin (the hormone that makes us sleepy), calcium levels, and vitamin D levels; but we are still probably a long way from understanding why this is happening and what the overall implications are. Chinese medicine has an entirely different approach to diagnosing and treating irregular sleep patterns and insomnia, regardless of what the blood tests are saying. Whether it is related to taking a supplement or not, if you have begun to experience difficulties with sleeping, see an acupuncturist. One of the first things most people notice once they begin receiving acupuncture is that they begin sleeping better. The beauty of living in a world that now has access to both acupuncture and modern medicine is that we no longer need to sacrifice one component of our well-being in order to support another. 1) Prev Med. 2016 Dec;93:166-170. 2) J Clin Endocrinol Metab. 2013 May;98(5):2160-7. In western medicine, anxiety is often regarded as a chronic condition of excessive, and irrational fear, dread or worry that becomes debilitating over time. 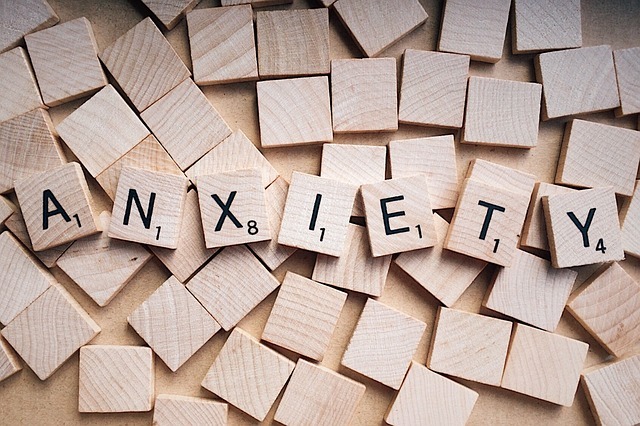 Types of anxiety disorders include generalized anxiety disorder, panic disorder, OCD, PTSD, social anxiety disorder, as well as other specific phobias. Along with these emotional issues, physical symptoms can also arise including muscle tension, nausea, sweating, GI conditions, insomnia, and fatigue, among others (1) (more on PTSD here). Acupuncture as well as specific herbs can directly address and ameliorate these conditions. Dietary changes and nutritional supplementation as well as exercise, meditation, and mind-body practices such as yoga, tai chi or qi gong can help sustain the improvements obtained from acupuncture and herbal remedies so you can get back to living your life—free from anxiety. This condition is often brought on by external events, specifically fright or shock, and can develop into panic throbbing, which is more severe. This is not brought on by specific external events, and is described in TCM as the heart shaking in the chest. In panic throbbing, qi (or life force) cannot stay grounded in its place of origin and exhaustion often ensues. Panic attacks would fall into this category. This is often described as an internal urgency (Li Ji) or feeling of restlessness that radiates upwards from the lower abdomen, often causing feelings of tightness or fullness in the upper chest, hot flashes, palpitations, breathlessness as well as cold feet and irregular or painful menstrual cycles in women. 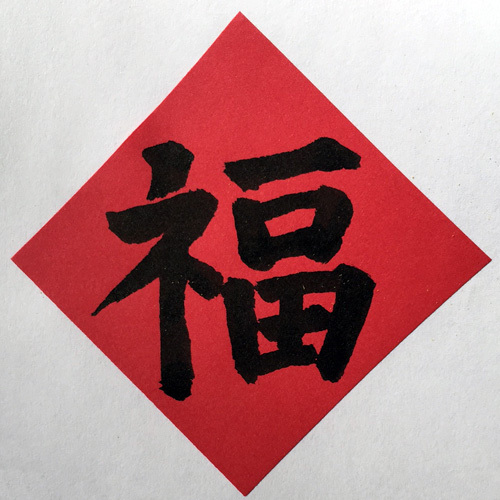 Factors that can influence anxiety in TCM include emotional stress—fear, shock, guilt, shame, pensiveness and even excess joy can lead to qi stagnation or deficiency in certain areas of the body. This essentially means that energy is “stuck” and not getting where it needs to go. Over time, stagnate qi can generate too much heat and these stagnations and deficiencies begin to send organs out of balance—specifically the heart, lungs, kidneys, spleen, and liver when we’re talking about anxiety. The main symptom here is palpitations, simply meaning that you’re aware of the heart beating in an uncomfortable way. Other things like tightness or oppression in the chest, insomnia, feeling restless, fidgety and flustered indicate a Heart pattern. Lung patterns usually result from grief or loss and are characterized by tightness in the lungs, frequent crying, and a pale complexion, weak voice and weak pulse. Anxiety over spiritual matters, existential suffering, and life’s meaning are common in a Lung pattern. Fear is the emotion related to the kidneys. This person may appear gaunt, have a dark complexion with a look of panic in the eyes, and often feel hot in the face or dizzy. Kidney patterns tend to manifest as pessimism, chronic fear and guilt, and expecting the worst in all situations. The spleen is related to pensiveness. This is often seen as having mental arguments with yourself, or thoughts that go around in circles, possibly becoming obsessive. People with spleen anxiety may be prone to grasping or clinging, excess weight gain, suffer from lack of mothering, or have a tendency to put other’s needs before their own. Worry is the trademark sign of liver anxiety. A person with a Liver pattern is often a perfectionist, sets high standards for themselves and often feels a dissatisfaction with their achievements or a sense of “not being good enough.” This person is often thin and sinewy in body type. Maciocia, Giovanni. The Practice of Chinese Medicine: The Treatment of Diseases with Acupuncture and Chinese Herbs, 2nd ed. Edinburgh: Churchill Livingstone/Elsevier. 2008: 385-395. Chan, Yuan-Yu et al. The benefit of combined acupuncture and antidepressant medication for depression: A systematic review and meta-analysis. Journal of Affective Disorders. 2015(176): 106-117. Errington-Evans Nick. Acupuncture for anxiety. CNS Neurosciences and Therapeutics. 2012;18(4):277-84. The goal of acupuncture is to bring an individual to a state of ease. A state of mental and physical clarity that leads to an overall state of well being. The symptoms of an individual’s ailments or disease are not simply treated or muted, but the root cause of the body’s imbalance is discovered, and the healing process begins there at the foundation. This outlook on correcting a problem goes hand in hand with the world of athletics and sports. If a track runner wants to be faster, he does not simply get new shoes. He works with coaches to correct his form and posture, he works with athletic trainers to correct injuries, and he focuses on nutrition to optimize his performance and open up his full potential in order to see results. Athletes are seeking alternative therapies outside of training and exercise in order to enhance their abilities. Mental health is being explored to increase focus and decrease anxieties, nutrition is becoming a staple in an elite athlete’s training regiment, and techniques such as acupuncture are being used to maintain balance between the mental, physical, and spiritual aspects of being an athlete. In fact, multiple studies have shown that after both immediate and prolonged treatment of acupuncture there is a statistically significant increase in muscular strength and firing speed. This could mean enhancing athletic performance naturally without harming their internal systems or violating any supplement or substance restrictions. Acupuncture has the potential be another tool in the arsenal of the elite athlete to separate themselves from their peers, and push them into a state of progression. Everyone has experienced sore or tired muscles, but Delayed Onset Muscle Soreness (DOMS) can be an athlete’s worse enemy. It can effect your performance at practice the following day, it can prevent you from doing certain activities that will cause muscle soreness before performance or game time, and, well, it can make simple things like climbing stairs or brushing your hair seem nearly impossible. There is little use in trying to prevent this phenomenon. 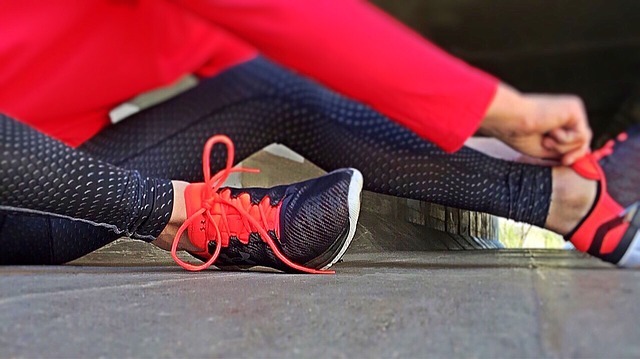 Every time you exercise you are causing small microscopic damage to your tissues, which brings about small amounts of inflammation and even lactic acid. Plenty of potassium and protein following exercise as well as hydration throughout your day will decrease the intensity, but every athlete that pushes themselves harder, faster, and stronger will experience this throughout their career. Research has shown a faster pain recovery for those who utilize acupuncture when they have DOMS and in some cases, an even quicker return to full muscle function than those that didn’t. In closing, if you are an athlete at any level, acupuncture can do wonders for you physically by increasing muscle performance and decreasing residual soreness after an intense work out. It can also assist in providing harmony, balance and mental clarity. Look for future blogs discussing how acupuncture can decrease performance anxiety and increase mental clarity before sporting events! It seems intuitive—if you eat a lot of fat, you’ll get fat. That’s what we’ve been told, right? Wrong. The truth is, fat is not making us fat. Sugar is what’s making us fat. This includes processed, refined grains and white flour products, which are metabolically just as harmful as consuming white sugar by the spoonful (more on the dangers of sugar here). Fats, on the other hand, are essential to human health, and if you’re looking to feel better and lose weight—yes, even lose weight—then healthy fats should become a staple in your diet. Fish oil supplements have been shown to improve mood-related disorders such as anxiety and depression, as well as prevent brain-degenerative diseases like Alzheimer’s and dementia. In fact, one study noted how “those who consumed fish were 60% less likely to develop Alzheimer’s than those who rarely or never ate fish” (see my white paper on fish oil). 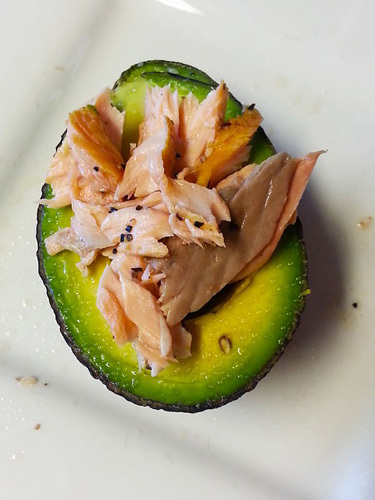 It’s important to remember that not all fats are created equal. Some fats are harmful, particularly trans fats and inflammatory vegetable oils (think hydrogenated oils found in many packaged foods). Opt for getting fats from whole foods (foods with only one ingredient) to be sure you’re getting the highest quality fuel for your body—and of course, choose organic and local whenever possible to minimize pesticide exposure and avoid GMOs. Hyman, Mark. “Separating Fat from Fiction: 10 Fat Facts You Need to Know.” Dr. Hyman. Hyman Digital, n.d. Web. 3 Aug. 2016. Claire is an undergraduate student pursuing a Bachelor of Arts in psychology with a minor in medical anthropology at the University of North Carolina at Chapel Hill. She is a certified yoga instructor at the 200-hour level registered with Yoga Alliance. Working towards a career in acupuncture and holistic health, Claire is passionate about a mind-body-spirit approach to healing in order to help people achieve long-lasting, sustainable wellness in all facets of life. 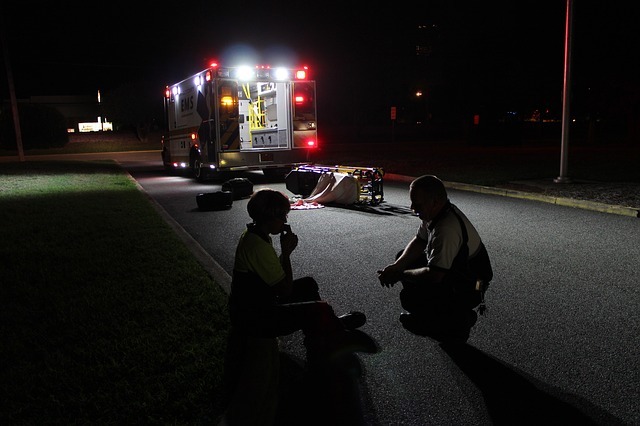 Acute injuries can occur even when you’re taking all the necessary precautions. Whether you’re an athlete dealing with a sports related injury, or suffering from an injury due to everyday activities, acupuncture can help. In Traditional Chinese Medicine (TCM), connective tissues such as tendons, ligaments, and cartilage which surround the joints, are referred to collectively as sinews. When sinews become overly stretched or torn, acute injury may occur. TCM offers several treatments in overcoming acute injuries quickly and effectively (1). Acupuncture works to encourage the movement of blood and energy (qi), which can become stagnant in areas afflicted with injury. Blood can also become stagnant, leading to pain and swelling. Stimulation of specific acupoints encourages qi and blood to flow freely again, perpetuating the healing process. Herbs and herbal combinations can be beneficial not only in reducing inflammation, but also for restoring blood flow to the site of injury. Specific herbal formulas like san huang san work to encourage movement of any stagnant blood and reduce inflammation surrounding the injury, so you can get back to your daily activities and exercise more promptly. Cupping is a form of body work using a glass cup, which creates a vacuum drawing blood to the surface. Cupping works to reduce pain and swelling, and in combination with acupuncture, also breaks through qi and blood stagnation to restore qi to damaged sinews. 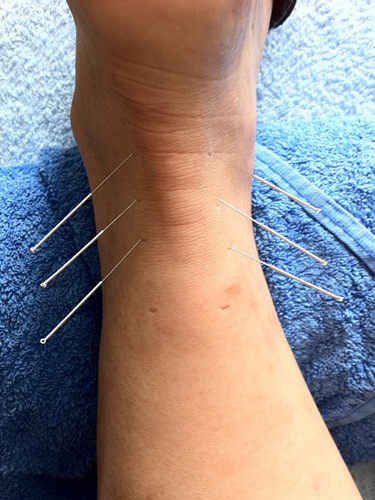 Acupuncture and Related Methods Applied in Sports Medicine: Exemplified by the Rupture of a Muscle Fiber, a study conducted by Regina Schwantiz, MD documented a case study involving a female athlete with a calf injury. The athlete was treated with a combination of western treatments and acupuncture. Acupuncture treatments continued for a week and on day 8, the athlete reported significant progress, with no pain during exercise and sonography confirming the healed injury. Furthermore, studies by L. Tyler Wadsworth, MD also support its use in healing sports related injuries. With regard to knee conditions, acupuncture “may help athletes recover faster and more safely and improve sports performance and return to play”(4). Another study concluded that “acupuncture is an effective treatment for the pain and dysfunction of tarsal tunnel syndrome, and in some cases acupuncture treatment can negate the need for surgery” (7). And it doesn’t just stop with acute injuries. Several studies on low back pain, including a meta-analysis, have concluded that “acupuncture effectively relieves chronic low back pain” (5). So whether you’re an athlete nursing an injury or suffering from everyday aches and pains, relief is possible through treatment. Bisio, Tom. A tooth from the tiger’s mouth : how to treat your injuries with powerful healing secrets of the great Chinese warriors. New York: Simon & Schuster, 2004. Print. Schwanitz, Regina. “Acupuncture And Related Methods Applied In Sports Medicine: Exemplified By The Rupture Of A Muscle Fiber”. Medical Acupuncture 19.2 (2007): 105-108. Web. 19 July 2016. Wadsworth, L. Tyler. “Acupuncture in Sports Medicine.” Current Sports Medicine Reports 5:1-3 (2006). Web. 19 July 19, 2016. Chung, Gun; Binkley, Helen. “Acupuncture and Knee Conditions: A Review of the Literature.” Athletic Training & Sports Health Care 2.6 (2010): 278-286. Web. 21 July 2016. Manheimer, Eric. “Meta-Analysis: Acupuncture For Low Back Pain.” Annals of Internal Medicine 142.8 (2005): 651. Web. 21 July 2016. Swathy, S and V. Gowri Sethu. “Acupuncture and Lower Back Pain.” Research Journal of Pharmacy and Technology 8.8 (2015): 991. Web. 21 July 2016. Smith, Scott R. “Acupuncture in the Treatment of Tarsal Tunnel Syndrome.” The Journal of Chinese Medicine 89 (2009): 19-25. Web. 21 July 21 2016. The good news is that I know a guaranteed way to boost your immune system for free. The bad news is that it requires you to stop eating some of your favorite foods. 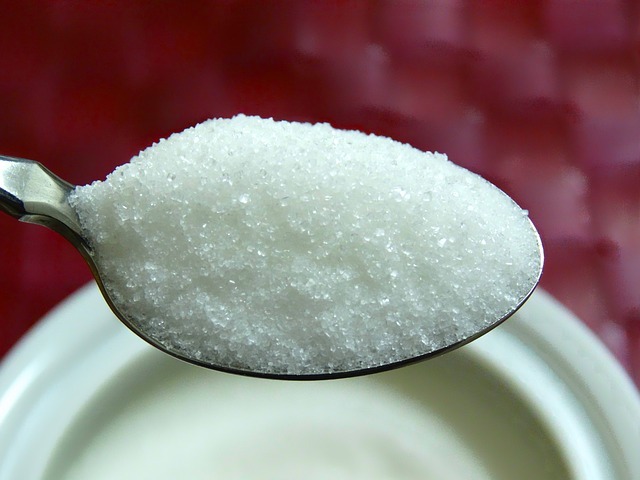 In 1973 the American Journal of Clinical Nutrition published a study that showed how consumption of sugar correlated directly with a diminished function of the immune system, or more accurately, neutrophilic phagocytosis. Neutrophils are major players in our immune system and sugar basically causes them to not function properly, so, essentially, sugar makes your immune system lazy. High fructose corn syrup was introduced in the 70s, but was not mentioned in the study; however, the study does state that fructose had the most significant impact, albeit by a very close margin. What this means is that anyone who is prone to catching seasonal illness or who is being exposed to contagious pathogens should not eat sugar. B) You are going to be or have been exposed to contagions pathogens, i.e. taking a flight, working or living with children, etc. There are certainly other reasons why most people should avoid sugar but this is one thing too many people are unaware of. Orange juice is loaded with sugar. Most cough drops are almost entirely sugar. 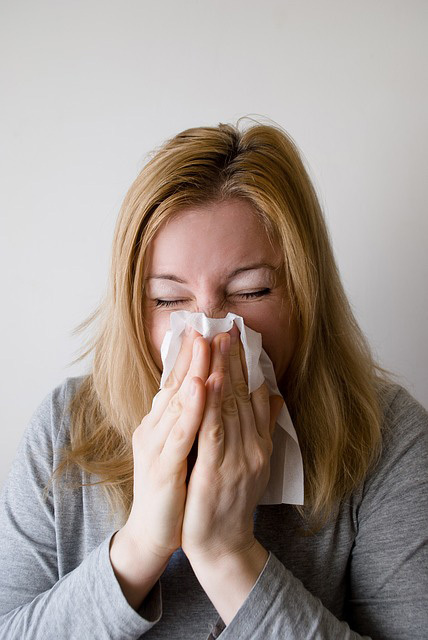 There are benefits to both when you have a cold, but the sugar may negate them, so it is typically better to take a vitamin C supplement and taking prescribed herbs if you do get sick. Eat right, exercise, and get enough sleep. Your body should take care of the rest. The following guidelines are based on classical Chinese literature, and include descriptions of specific headaches. Regardless of whether or not your headaches match the descriptions, if you are experiencing any headaches after behaving in any of the ways listed below, you should suspect the behavior to be responsible. Chemicals in foods (MSG, dyes, etc.) can cause headaches for many reasons that are not discussed in classical Chinese literature, but should always be considered when headaches recur after eating certain foods. In general, food coloring should be omitted from the diet when possible. Coffee and chocolate are examples of foods that were not traditionally available in China and were not explained in Classical literature, but both can be a cause of headaches. It is always advisable that headache sufferers eliminate both to determine if they may be causing the headaches. Discover the benefits of natural healthcare and receive a free initial exam and evaluation. Wishing you prosperity and health for the Year of the Monkey!